One of the most common questions I field from students beginning the Elimination Phase of the TQI Diet is how they will get enough calcium if they are not eating dairy. A partial answer comes from a small but interesting study from Korea showing that Korean women are able to maintain bone health without dairy. First, calcium intake and especially calcium from plant sources reduced the likelihood of osteoporosis. Second, the more vegetables a woman ate (calcium rich or not), the less likely she was to suffer osteoporosis. Third, although reasonable amounts of dietary calcium significantly reduced the risk of osteoporosis and improved bone mineral density, eating animal sources of calcium (dairy products) did not reduce the risk of osteoporosis. They did not provide the benefits that dark green vegetables did. Vegetables are a rich source of magnesium and potassium, both important minerals. One 4-year study found that each serving of vegetables increased bone density by 1%. Other antioxidants in plant foods (such as vitamins C and E and beta-carotene) help prevent hip fractures. The researchers in this study noted that it was small and observational but in the end they were convinced that vegetables in the Korean diet provide calcium, vitamins, and minerals with a protective effect on bone that dairy did not show. Take home lesson: Your bones can thrive without dairy as long as you eat enough dark green vegetables. Your bones do not grow stronger when you eat dairy. Your bone strength is enhanced by other nutrients in vegetables such as magnesium, potassium, and beta-carotenes. This entry was posted in Food and tagged bone density, dairy, Korea, osteoporosis, research, vegetables. Bookmark the permalink. Kathy, what about products like, Mineral Matrix from St. Francis Herbal Farm? They have a good rep, as far as I know. They also now have something called CanPro. It is also make from goats, like a goat whey. Do you, or any one, know if they really are, a good calcium source? PS Thanks so much for this blog, I love it. Hello Kathy, another thing I learned is that calcium supplements for aging adults actually makes our bones brittle, leading to easy breaks. I don’t know if this is true? What of if because supplements are sinthetic? What about the 2 Magnesium to, 1 cal. is this the other way around? Calcium metabolism is incredibly complex. It needs to be in balance with things such as magnesium. So, no, I do not think it is the fact that our supplements are synthetic. I think it relates more to not eating a balanced diet and trying to use isolated supplements to concentrate. As for winter: Frozen vegetables are one way to go. Increasingly, stores like Costco and Trader Joe etc. offer baby spinach year round at reasonable prices but you also have broccoli, etc. Add those greens to the seasonal onions, winter squashes, etc. and you’ll be fine. As you may have noticed, life is not quite that easy… Eating an extra serving of vegetables will increase your bone density. Yes, you have to increase the amount by more than 1%. Otherwise, those relying on fast food french fries as their vegetable source could add a tomato and be ahead of someone eating chard by the bucket adding a tomato. Personally, I do find this exciting. It means that people losing bone density (= most people) can likely stop that process by eating more vegetables, something we should be doing anyway. How do I get more leafy vegies in long winter, when they come from california, mexico, hot houses, & GMO ed? and often very expensive and little variety? 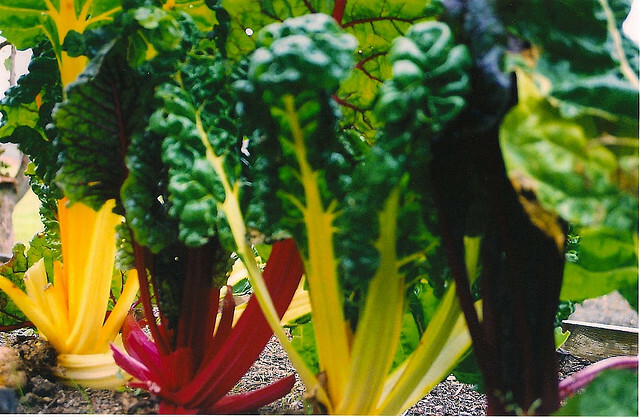 Winter is usually the beest time to get leafy veggies; they grow well in cool climates and bolt in the heat. In fact, in Sweden kale is part of the Christmas table because it is a vegetable that can even stay green in the snow. bussel sprouts, and they are leafy, no? Yes, those vegetables would be good substitutes for kale. Is baby kale just as healthy of an alternative at regular kale? I do not know the comparative details but I am confident that either or both are healthy choices. Really grateful for this info. Kathy!!! What a rich resource.